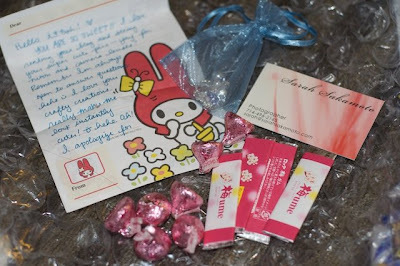 so I got LOVE packages from Izumi and Wuzzy!! 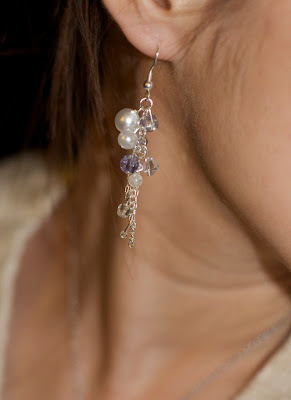 the earrings are very pretty! 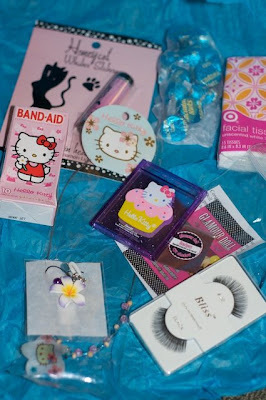 Btw, my name is Becky and enjoy reading your blog :) They sell a huge box hello kitty band aids at my local big lots. I didnt get it tho coz i didnt need it lol. 9 hours in a car!! :( that sounds awfullll..
aww i should've sent you more gum!! but now i know :) hehe! i know how to spoil you nowwwwwww! aww man now i want to try this popcorn.... :( hahaha! 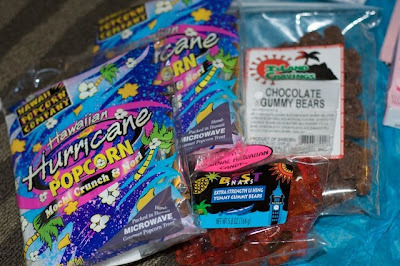 I have yet to try the Hurricane Popcorn !! Goodness, Wuzzy sent you a lot! man wuzzy sends that popcorn EVERYWHERE! lol it must be delicious!!! the earrings are adorable! 9 hours in a car w/the monthly friend?! OMG!! I'm soo sorry girl! Awww... vaca/work shouldn't be that bad! 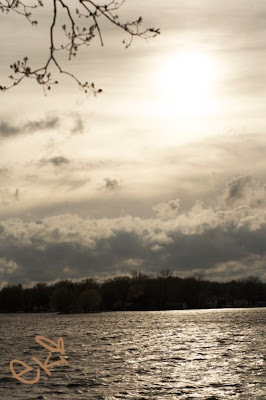 But the pics you shared with us of the Lake House are still gorgeous!! Awww I can't believe that you don't have that many friends! Who wouldn't love a sweetheart like you!! I <3 You!! Haha you're soo cute!! They should last a while if you don't open anything! LOL! If you savor them you have tons more will power then me! I wish I'd know you'd like pink sooner! I would've sent you a pink flower charm! Next time... lol! Hey don't make me out to be so great. YOU WERE SOO GENEROUS WITH ME & YOUR KAWAII CREATIONS!! But yes come to Hawaii! :) Haha.. we'll snack out to our hearts content! I didn't know that about the Tsubaki & the Geisha! Wow I learn something new everyday! Watch me bombard you with emails for interpretations now! LOL! Sorry to hear the trip was stressful ~ 9 hrs car rides are definitely not fun. 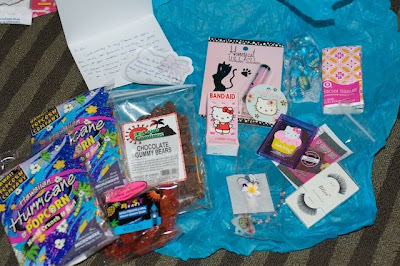 Glad you got to come home to some awesome love packs! Your videos are so cute esp your interruption from your mom. aww, who took those picture, the pictures are clear and beautiful. How lucky you are to have great friends! the earrings are so pretty. I hope you feel better. you're really beautiful on that pic.. i wish you are now feeling well,, :D the package is super nice..
OMG the breads look so good! totoro! Eki!! I wanna order from you! ^_~ gonna go check out the goods! 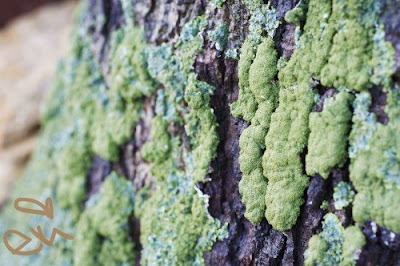 I adore the tree moss. Makes me think of cute things, oddly. Take care then and have great week! eki you are so cute! Oh so gorgeous! 'nuff said! oh my gosh! 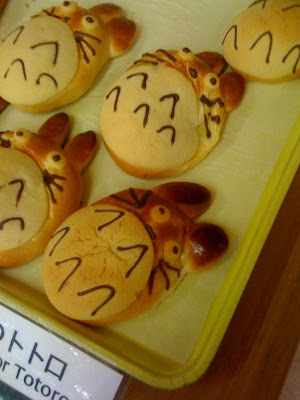 i want some totoro pan, but i might just end up staring at it so long i would never eat it. miss you eki! Those treats look so cute! Aww, I want me some hurricane popcorn! loving your site :) and the totoro bread is so cute!! EKI You are so beautiful! I LOVE YOUR EARRINGS TOO!!! Everything looks wonderful! The girls are so generous!! And you are just gorgeous! Aww, Eki, I'm sorry you didn't have a great time. 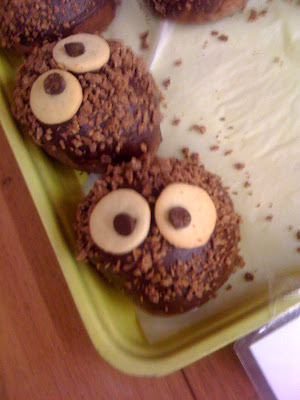 :( Your goodies are making look so yummy!! Oh, I found this cute (not new) Japanese store, it's at Rosedale, Tomodachi. Have you been there? I've been craving to go to United Noodle, so tell me when you're not busy and I can also give you your prez!! Nice hauls! Aw you're SO PRETTY!!! Whatta swap!! You belong on the cover of VoCE and Biteki!! You are prettier than the models! My ideal Japanese woman! oh my gaaaaaaah !!! youre so pretty ! I found your blog through...hollyannaeree (i think) and i just wanted to say hi :) you are too cute!! Hello! 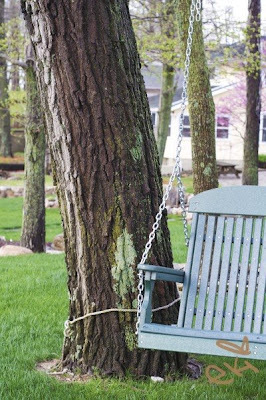 I'm new to your blog! The Totoro themed pan is so cute!! aww...i'm sorry to hear you didn't feel well.